According to an OECD report funded by the European Commission, the fastest-growing age group are people over 80 whose number will almost triple by 2060, rising from 4.6% of the population to 12% in 2050 in the European Union. This report "A good life in old age?" was presented at the conference on "Preventing abuse and neglect of older persons in Europe" which marked the World Elder Abuse Awareness Day celebrated globally on 15th June 2013. This event was organised by the European Commission and the United Nation's Office of the High Commissioner on Human Rights. ombudsman to deal with concerns. It is estimated that up to half of them will need help to cope with their daily activities. Yet even today, families and public authorities are struggling to deliver and pay for high-quality care to elderly people with reduced physical and mental abilities. 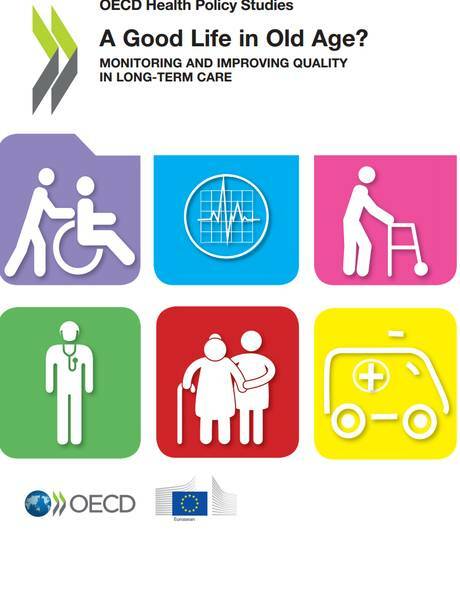 However, the report shows that very few countries systematically measure whether long-term care is safe, effective, and meets the needs of care recipients. To meet future demand for higher-quality care and choice by the person receiving care, governments should ensure that the necessary information on long-term care quality is available to the public. England, Finland, Germany, Ireland and some other countries do this now, allowing users to compare the quality of different care providers. Disclaimer:This news arises from information provided by external entities to the UEMS. The information and views set out in this news are those of the author(s) and do not necessarily reflect the official opinion of the UEMS. Sole responsibility for this content lies with the author(s) and the UEMS cannot be held responsible for any use that may be made of the information contained therein.